Israeli Prime Minister Benjamin Netanyahu made a controversial decision when he canceled his participation in a UNESCO conference on fighting anti-Semitism held Sept. 26 on the sidelines of the UN General Assembly. Western diplomats and UN officials told me they think that Netanyahu canceled in order not to anger the Trump administration. Why it matters: UNESCO has been one of the international forums most hostile toward Israel, leading both the U.S. and Israel to announce they would leave the organization by the end of 2018. In the last year, however, UNESCO has not put forth any anti-Israeli resolutions, causing Israeli officials — including Netanyahu — to consider remaining a member. Netanyahu's decision not to show up this week has made it clear that Israel intends to leave. UNESCO's conference featured senior representatives from dozens of countries and Jewish organizations with a keynote speech from UN Secretary-General Antonio Guterres, who criticized the delegitimization of Israel and called it a modern kind of anti-Semitism. Moroccan Prime Minister Saadeddine El Othmani stressed that racism and anti-Semitism are not legitimate opinions. The backstory: In mid-July, Netanyahu initiated a phone call with Audrey Azoulay, the new director general of UNESCO, to praise her for the organization's lack of anti-Israel resolutions. Western diplomats told me Netanyahu and Azoulay even decided to meet on the sidelines of the UN General Assembly. A few days after the phone call, Israeli officials contacted UNESCO officials and asked if the organization would like Netanyahu to participate in the conference. According to the Western diplomats, UNESCO gave the Israelis a positive response and stressed they would be happy to have Netanyahu at the event. The Western diplomats told me that UNESCO received a message in August from the Israelis that said Netanyahu agreed in principle to participate, negotiating the parameters of his participation, which included a speaking slot of at least nine minutes at the event's start. At the beginning of September, again at Israel's request, Azoulay sent a formal letter of invitation to Netanyahu — which then went unanswered for weeks. On Sept. 21 — five days before the conference — the Israelis told UNESCO that Netanyahu would not attend. But this was not the end. Last Wednesday, a few hours before the conference started and an hour after his meeting with President Trump and Secretary of State Mike Pompeo, Netanyahu issued a harsh statement attacking UNESCO, calling it an anti-Semitic organization and making clear that Israel is still planning to leave at the end of the year. Western officials told me Azoulay was personally offended — not just for Netanyahu's decision not to participate but even more by his statement, which she saw as disparaging her efforts to fight anti-Israeli bias in UNESCO. A Western diplomat involved in the issue told me: "Netanyahu's statement was fake news. He disregarded all the positive change towards Israel in UNESCO in the last year. It is sad and shocking that this is the way the prime minister of Israel is behaving. It is even more puzzling that the prime minister of Morocco attended and spoke at a conference on fighting anti-Semitism but the prime minister of Israel boycotted it." In a meeting Netanyahu held on Friday with U.S. Ambassador to the UN Nikki Haley, Netanyahu praised Haley for her actions against UNESCO. Israel told UNESCO it would be represented at the conference by Israeli UN Ambassador Danny Danon. At the last moment, Israel downgraded that further to its deputy ambassador. 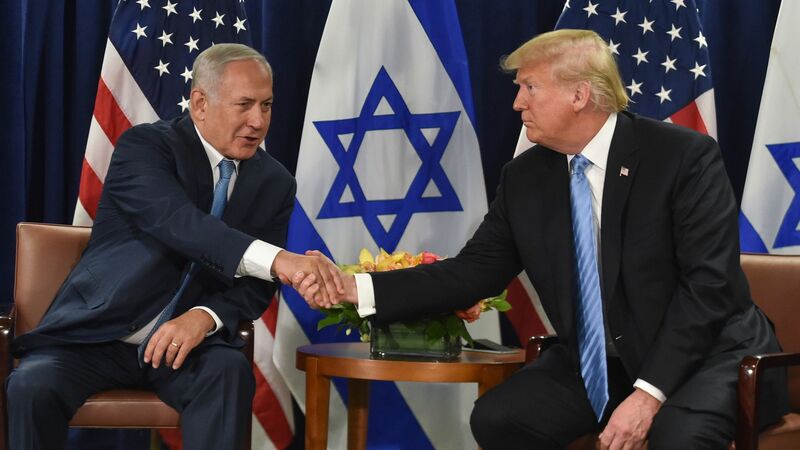 UN officials and Western diplomats told me they think Netanyahu decided not to participate at the conference in order not to anger the Trump administration, which sees its withdrawal from the organization as one of its foreign policy achievements. The diplomats told me they think Netanyahu also wanted to score political points back home in Israel by once again slamming UNESCO.